Together we can transforms lives - Give Today! When you support Blue Ridge Literacy Council you provide hope and dignity to someone's life! 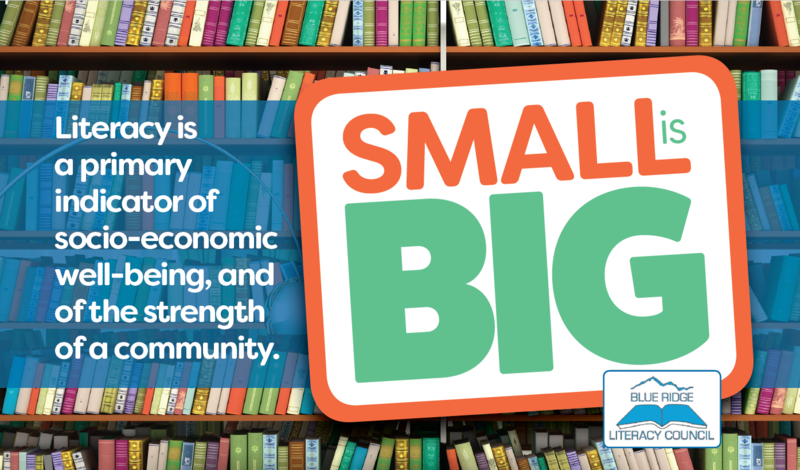 Small is Big is a campaign to support the work of a small non-profit, BLUE RIDGE LITERACY COUNCIL, and the big impact that it has on our community. Your donation will transform lives!